This isn’t a new photo, but it’s the kind of moment I’m craving right now. To celebrate my birthday a couple of years ago, Tovin and I drove to San Diego for a weekend of good food, sand and blessed moisture. 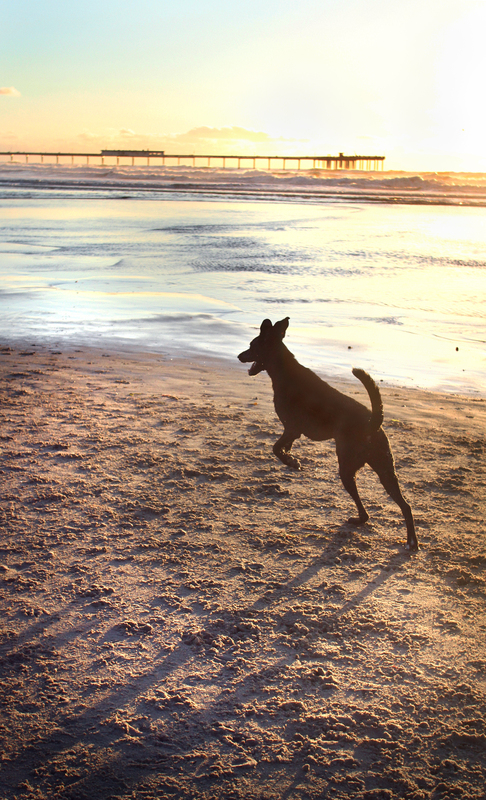 We booked a hotel on Dog Beach in OB, and within minutes of our arrival, Samba was loose on the sand. We spent a good portion of the weekend watching her dash across the shore, soaring over puddles, splashing through the water and suffering the occasional epic puddle crash. It was sandy and dirty and totally joyful. I can’t wait to take her back.